When it comes to building your credit, you want to put your best foot forward. That means giving up your old habits and exchanging them into something that would put more money in your pocket. But, just like everything else, these goals are easier said than done. 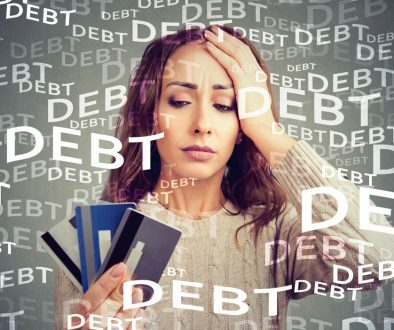 The thing is there are some ways on how you can rebuild your credit, even it means taking out no credit check loans in Australia and using it to put your finances back on track. Practice good habits that will show your credit worthiness. You can use the proceeds of your no credit check loans to pay your credit accounts and other bills, on time. Check all your unpaid bills and pay them all, before the credit provider sends it to the collection agency. Don’t open new accounts if you don’t need them. Every time you open a credit account, the age of your oldest account lowers too, and that’s not good for your credit score. Your credit history tells your creditors how long you have established credit, starting from the day you’ve opened your first account. Keep track of your loan applications. Do not apply for multiple credits within a short span of time. Remember that recent credit inquiries made by creditors every time you apply for credit also reflect on your credit report. Keep your balance lower than your credit limit. Do you carry a credit balance higher than 30% of your limit? Pay the balance in full and make sure that you don’t exceed the 30% utilization ratio ever again. Make more money than what you actually spend and use the difference to accumulate wealth. It doesn’t take a genius to understand the importance of generating income that will not only cover your needs; but will also give you enough capital for a business venture that would generate more money. You can apply for no credit check loans to add to your capital or to inject some cash into your business for your urgent monetary needs. Why should I build my credit? Credit report is more than just a scrap of paper. As the digital economy depends more and more on credit to make purchases investments and make financial decision; good credit can be considered as an important tool in getting some of your basic needs. Mortgage lenders ensure that borrowers have good credit before they approve loan applications. Car loan applicants need to prove their creditworthiness to qualify for larger amounts of loan with lower interests. Even employers sometimes conduct credit checks when hiring employees to determine their level financial responsibility. People with low credit score often have problems with credit and utility applications, getting a lease, and in negotiating premiums with insurance companies. The thing is that sometimes bad credit is a result of negative listings in your credit report, which can be fixed by a credit repair company like Clean Credit. If you want your credit history to be repaired, you can contact Clean Credit today for an obligation-free assessment.